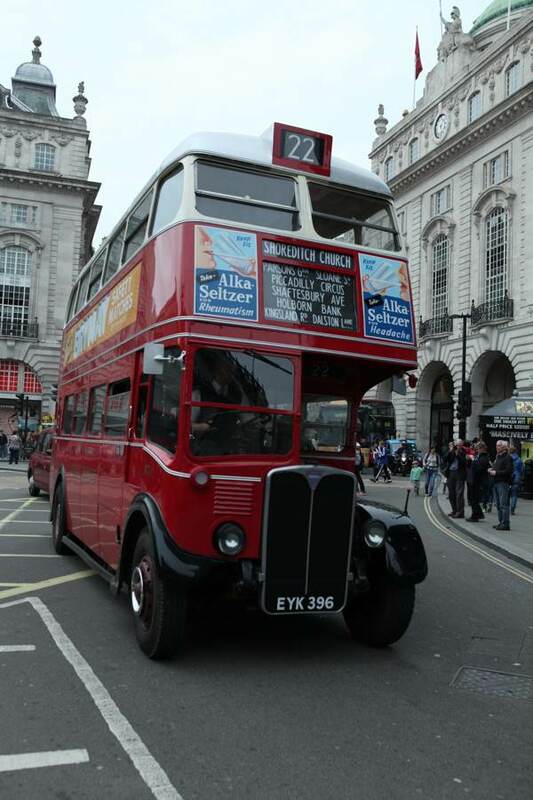 A magical time warp appeared to manifest itself in London yesterday, when Saturday shoppers were surprised by buses of past eras – many more than sixty years old – arriving unexpectedly, as if conjured from the ether, to whisk them away to the West End. 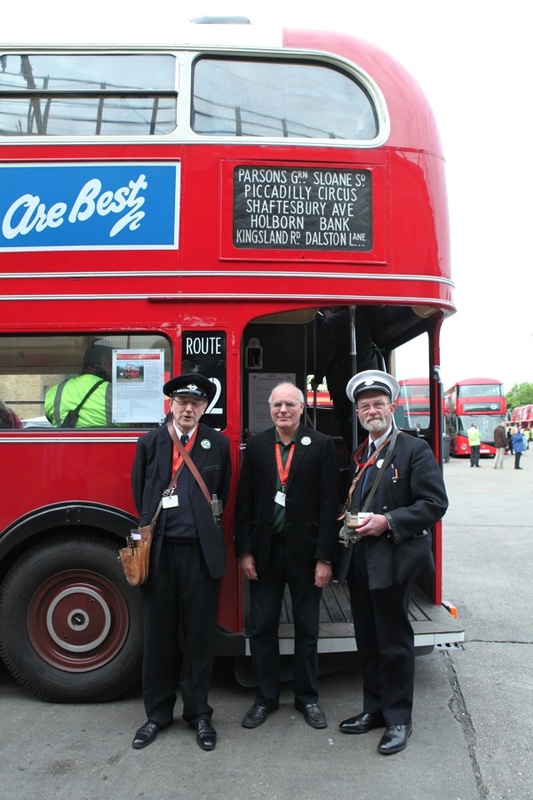 In fact, it was a celebration of seventy-five years of the classic RT London bus organised by the London Bus Museum, in which fifty vintage vehicles returned to service for one day, offering free rides to all. 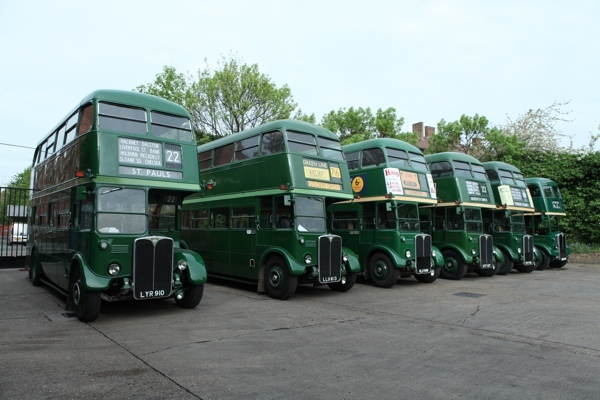 The buses gathered at the Ash Grove Depot next to London Fields before departure, so Contributing Photographer Colin O’Brien & I put on our anoraks and joined the happy throng of enthusiasts, mesmerised by the return of these beautiful historic buses, polished to perfection for this special day. 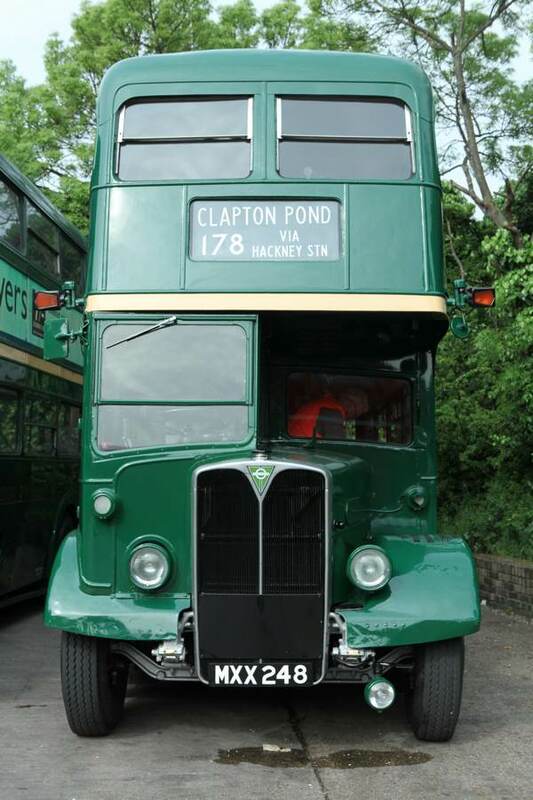 Unquestionably, the star attraction was the original prototype of the RT1 which first entered service on route 22 between Putney Common and Homerton on 9th August 1939, just weeks before the outbreak of World War II. 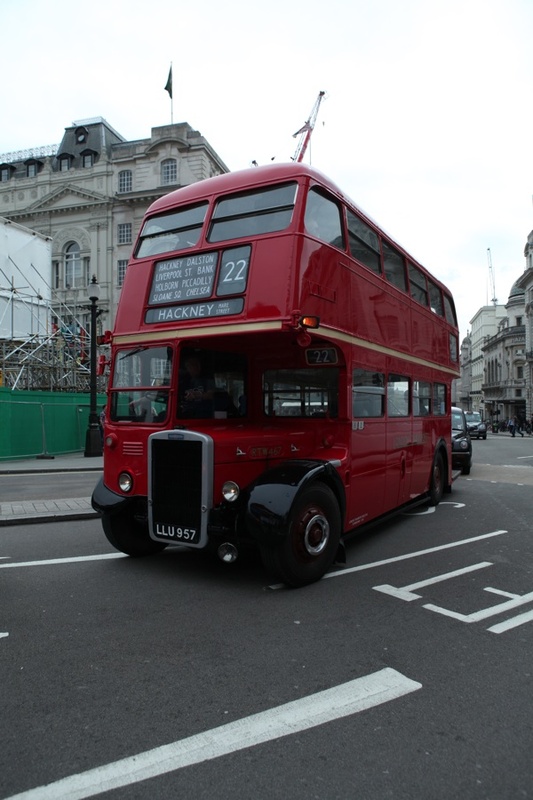 The RT1 marked the culmination of a programme to design the ultimate London bus, featuring the latest in construction and engineering for passenger and crew comfort. 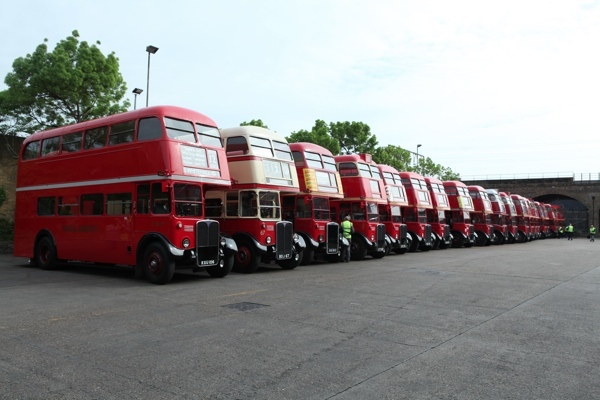 Now fully restored to its former magnificence, it led the fleet from the depot out into the London streets yesterday. Colin & I hopped aboard and made our way upstairs, and we discovered that we were upon a trip into memory. 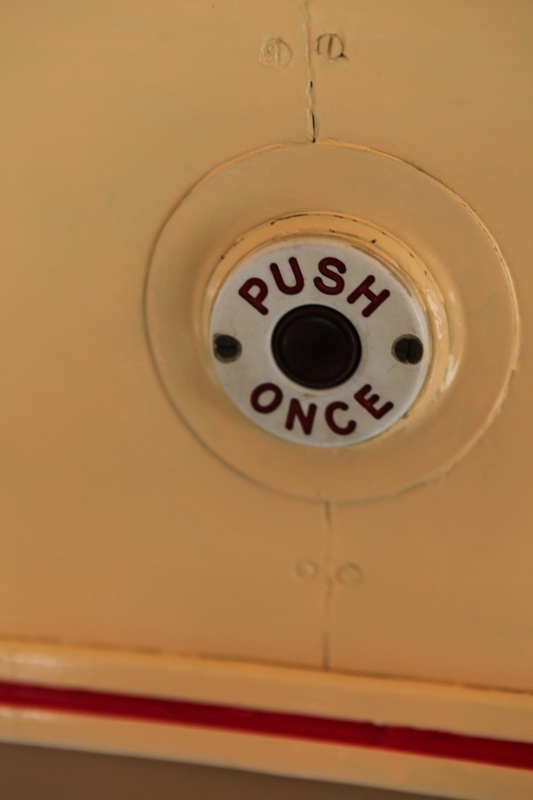 The checkerboard velvet upholstery, the wind-down windows, wooden floors, the cream paintwork, the “Push Once” bell and the “Do Not Spit” sign were all powerfully evocative of another time. But before we could contemplate further, the bus departed with that once-familar ding-ding of the bell and we enjoyed a smooth ride with just the occasionally rocky patch, whenever the bus lurched round corners, swinging around like one of those stage coaches of old. Our great delight from the top deck was to observe the expressions of wonder and joy appear upon the faces of vaguely-bored Londoners at bus stops, astonished at the unexpected arrival of these glossy chariots from another age, skinnier and with rounder corners that our contemporary buses, and embellished with colourful advertisements from the past. 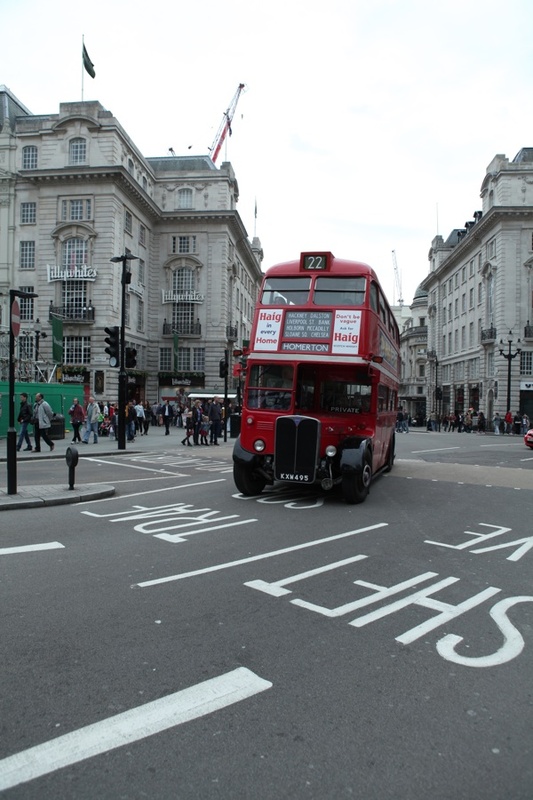 At Piccadilly Circus, we hopped off again and positioned ourselves strategically upon a traffic island so that Colin might photograph the old buses as they came through, standing out with decorative flourish like swans upon the river. We waited for hours, searching the distant traffic expectantly to capture the trophy shots you see below. 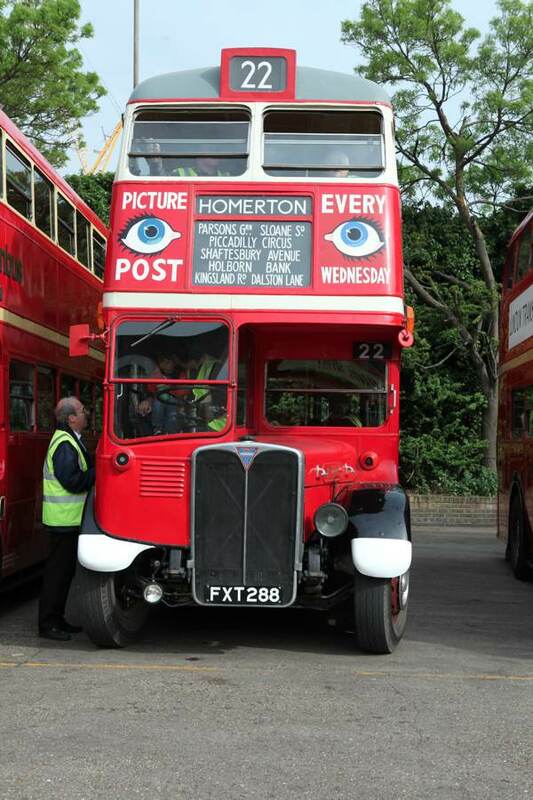 In spite of all the changes, these charismatic buses still looked entirely at home upon the streets. 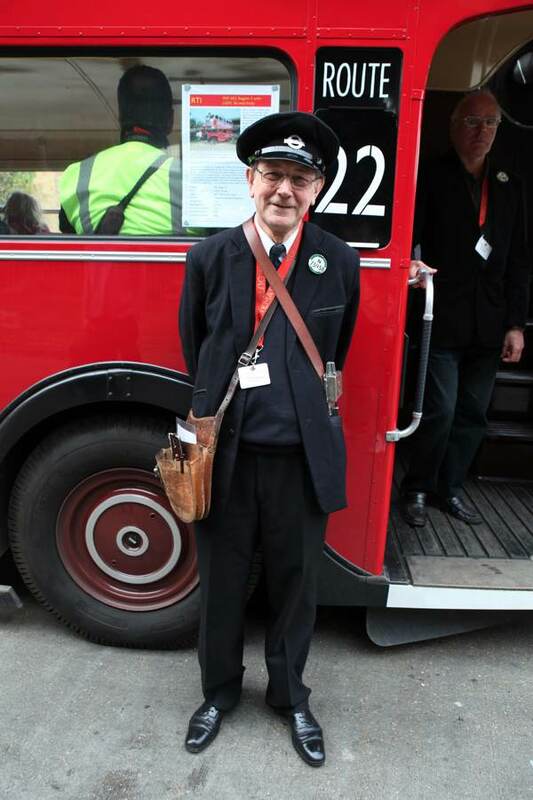 Held in great affection by Londoners, they are interwoven with the identity of the city itself and their descendants still ply the same routes every hour of the day and night – but we were overjoyed to see the return of the much-loved ancestors, reminding us of our collective past and reclaiming their old routes for a day. 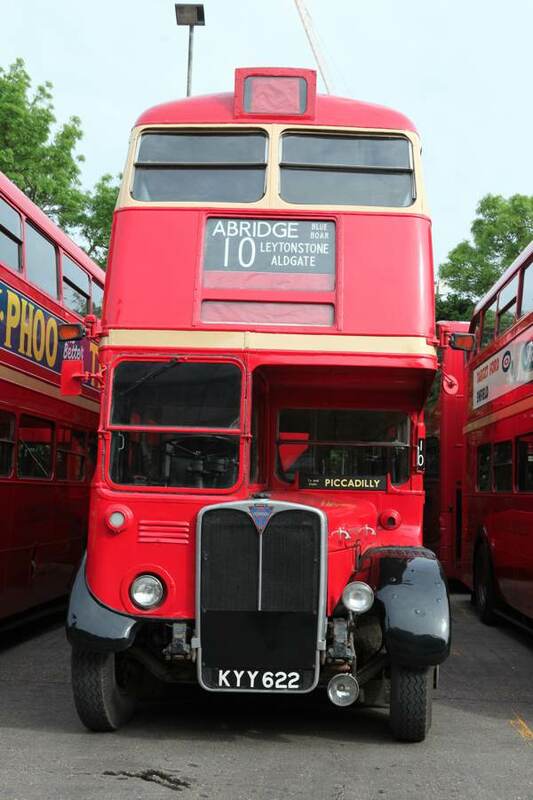 Three cheers for London Transport and the Transport Museum. What a fantastic idea. 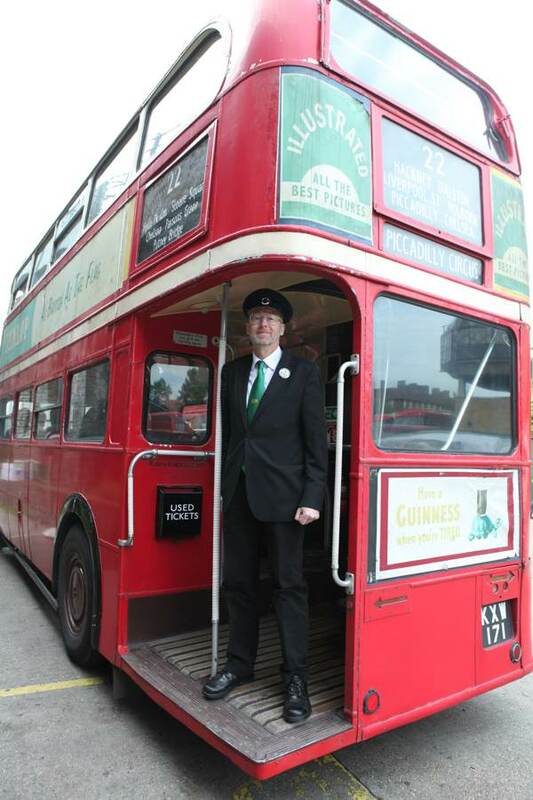 I missed it, hope they do it again next year, I’d love to do a special bus ride. 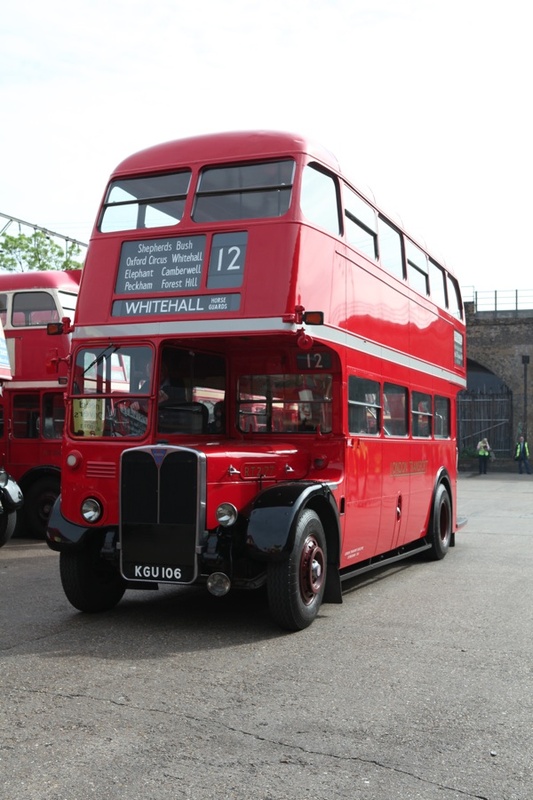 How magnificent to see these lovely buses I am very fond of London buses and prefer the older buses .I remember having conductors with a tray of colourful tickets. I even had a holiday on a converted bus to the South of France happy times. 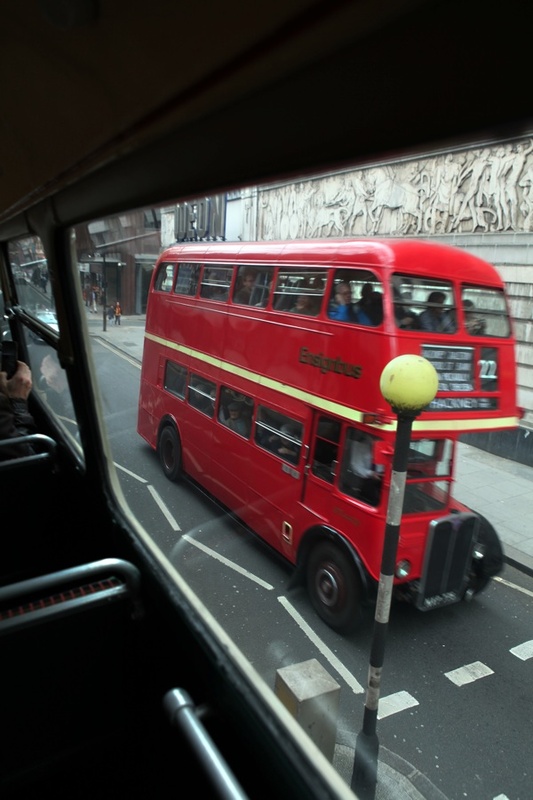 What a pity that I couldn’t be in London to see all my Childhood-MATCHBOX-Dreams come true … — A very good photo story about the asymmetric faced lovable veteran buses. Thanks a lot! On the first anniversary of the death of my late father, these pictures brought back memories of a happier, more innocent time. In 1977 my wife and I were married and set up our first home together in a flat on New Kings Road, in Parsons Green. Right on the 22 bus route! 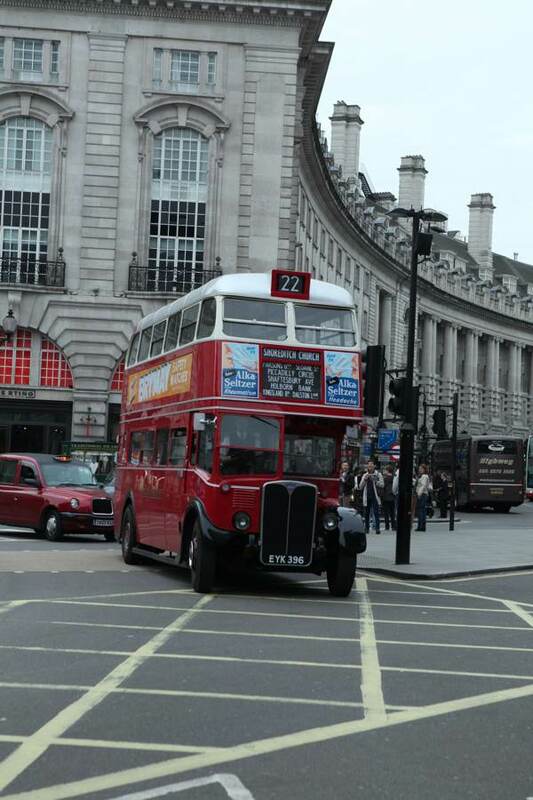 As luck or serendipity would have it, we both worked in High Holborn and the 22 bus route was the natural way of getting to and from work. Much more pleasant than the Tube. I also have links, albeit somewhat tenuous, to the East End. 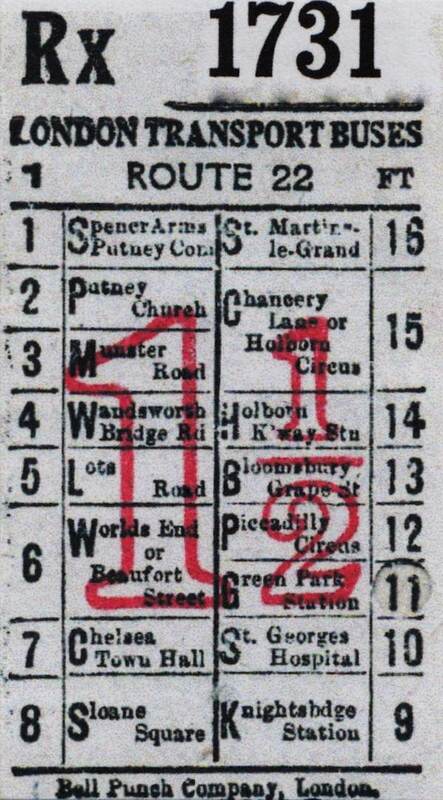 My mother’s family were residents of Whitechapel and Hackney since the late 18th century. On the other side, my father’s family seemed to hop back and forth across the river, from Poplar to Greenwich. Probably staying one step ahead of the Rent Man. A wonderful trip down memory lane! Wish I could have been there to enjoy the ride! I love buses! My nan was a Clippie the Second World War (bus conductress – in the days when they clipped tickets) and my grandad was a bus driver. They met when the Bus was stuck in Blackwall tunnel during a bombing raid. Believe it or not Hazuan Hashim and myself spotted the Gentle Author and Colin O’Brien upstairs on one of the green buses. 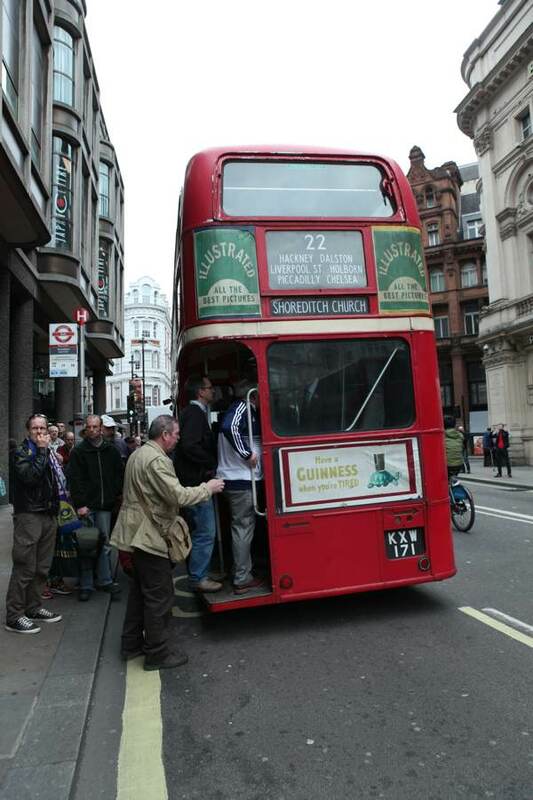 We were downstairs on a modern number 25 and we both wanted to swap places! 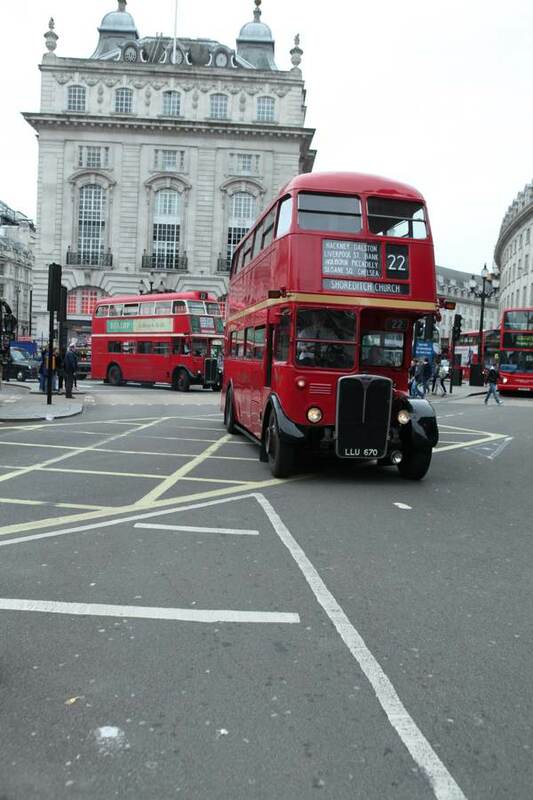 I couldn’t believe the numbers of photographers at each junction capturing the old buses. 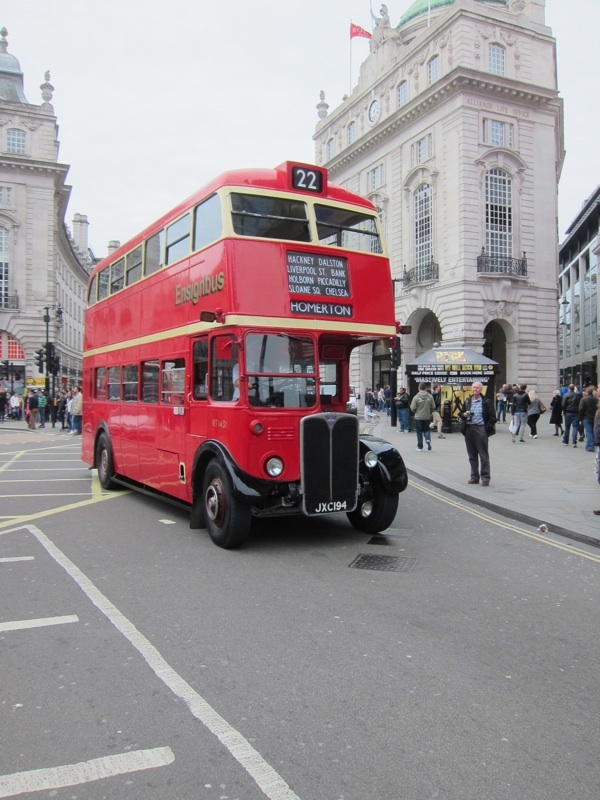 To assuage my shock at discovering that double decker busses were no longer the iconic mode of transport they were as I remember them during my last visit to London, 25 years ago, I picked up a shiny, red metal miniature which is displayed on a bookshelf. It had been given to my son, a three year old, back then, with a penchant for deconstructing some of his most treasured – to me, at least – toys. Happily, it is completely intact, with little rubber wheels that turn, a tiny stairway leading to the top and made in England, to boot! 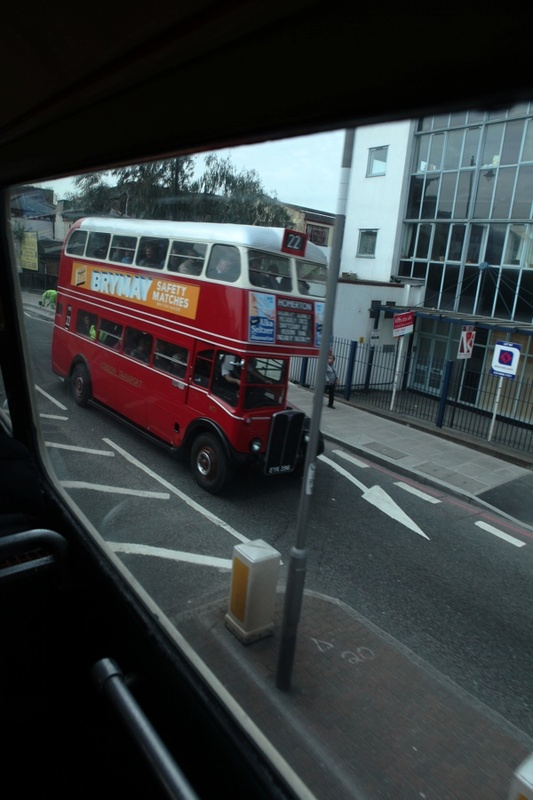 I travelled up and down on Bus 13 to Swiss Cottage every weekend to Grandma seeing Edgware Road, Marble Arch, Baker Street, St John’s Wood remembering seeing Homeopathic hospital, carpet shops in Edgware Road, Regents Park, Finchley Road. The ding ding of conductors, conductors running up and down and upstairs to give tickets and take money. Some were friendly and some were too busy and often shouting Full up! Full up!, when the bus was full. I remember seeing black drivers and black conductors when they first came to England from the West Indies and I made friends with one black conductor to the amazement of my brother who said How did you know him? 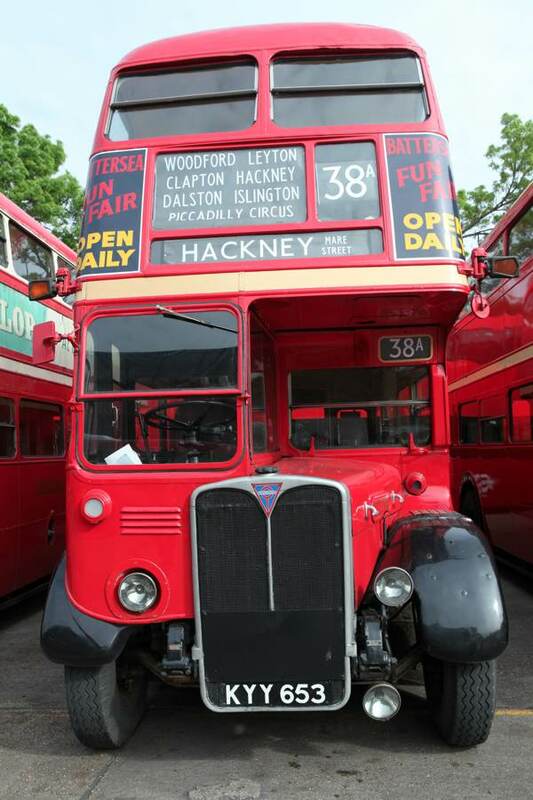 I saw two of these buses yesterday in Dalston, but hadn’t realised there was a special event on. Wished I’d got on one, assumed they were special hire for a wedding. Wonderful photos, lovely to see. What a great set of photographs! Reminds me of my childhood in London where I distinctly remember riding around in such buses with my granny, who was very mobile in her day. 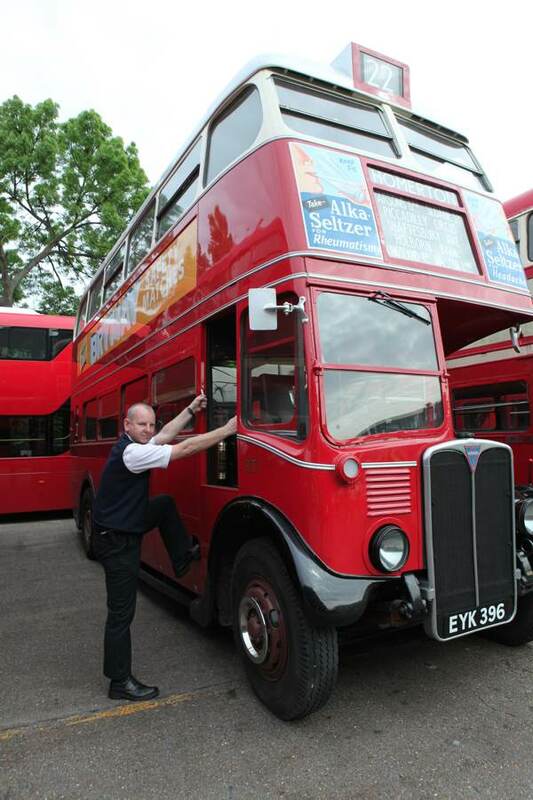 Ironically, my American brother-in-law, now living in London, now works on one of the Routmaster buses that were reintroduced to the streets of London last year. I hear they are enoying great success with both locals and tourists. I was unaware of the parade that has just taken place! lovely post and photos. I wonder if anyone remembers the Red Bus Rover ticket you could purchase and have unlimited travel on the buses for a day? Gangs of us kids used to buy them in the holidays and get routinely chucked off for being noisy or cheeky. The conductor was boss! A conductress on a South London route used to sing “Hey big spenders” as we piled on (shopping trolleys and all) after a morning’s shopping in Brixton market. Happy times. 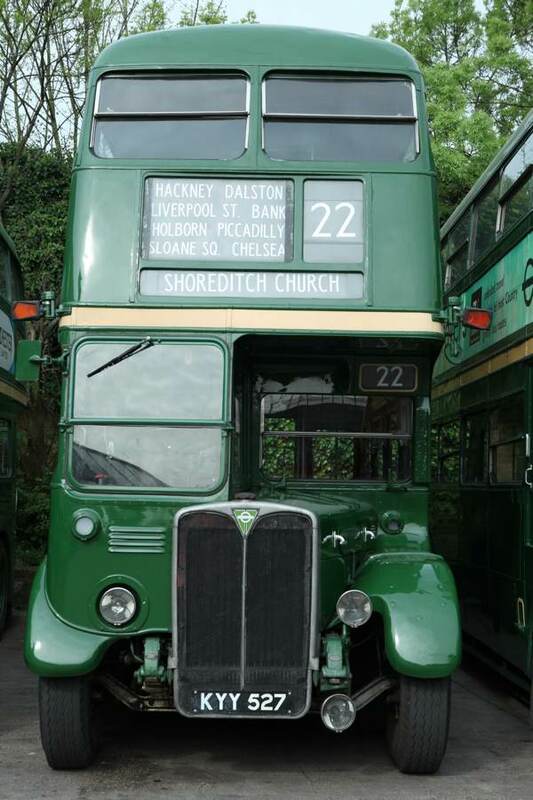 The number 22 brought back great memories – but I knew it at the other end of the route where it turned around on Putney Common adjacent to my primary school. I had friends who collected the numbers – RT, RTL, RTW – worse than train spotters! What a wonderful event. I used to ride to school on the dark green ones, the best part of the day! Excellent piece and great photos as always. I love reading the readers stories in the comments too. 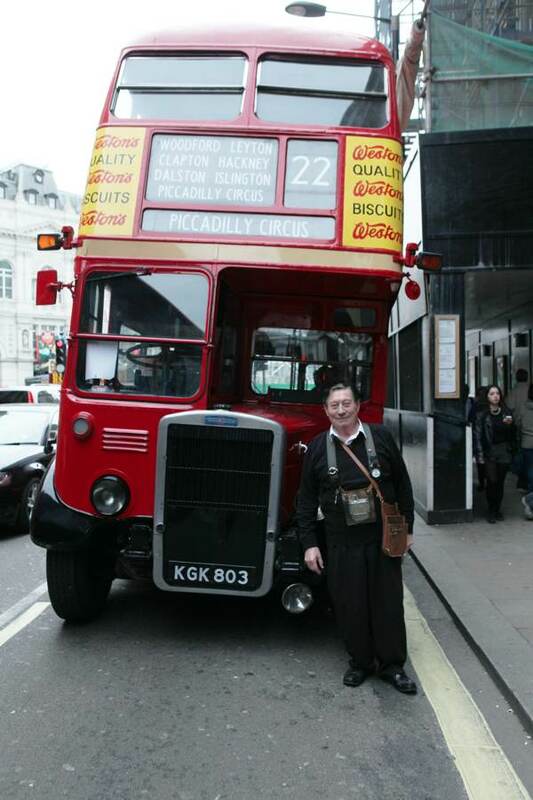 As a fellow Londoner who grew up with the routemasters, it was a joy for me too to ride on ‘proper’ buses again. my own photos of the event compliment yours too. I’ll post on my blog on the weekend and link to yours and credit. So glad this website was brought to my attention. 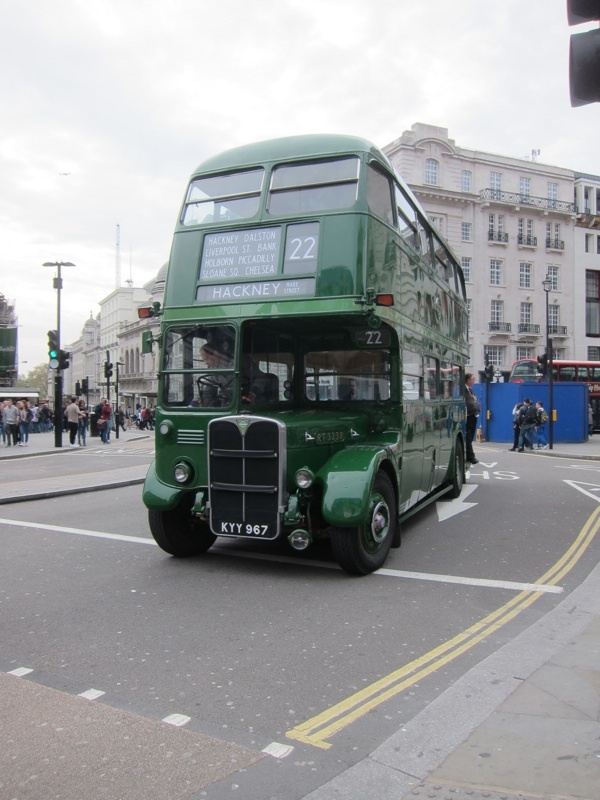 Travelled from Cornwall for this event and rode on RTI from Piccadilly to Shoreditch, having last ridden on this type of bus in about 1955 when they were withdrawn from ex-tram route 182. 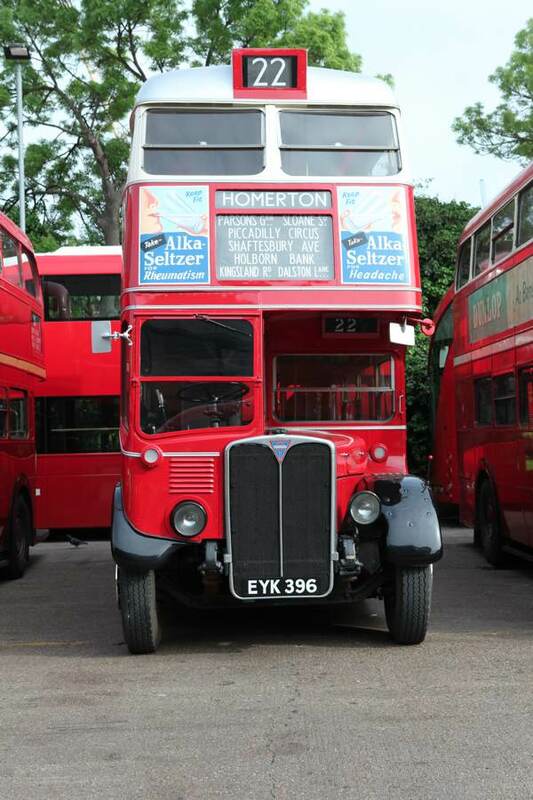 A long time ago, ( the WWII years) I lived in Chiswick near the bus garage. 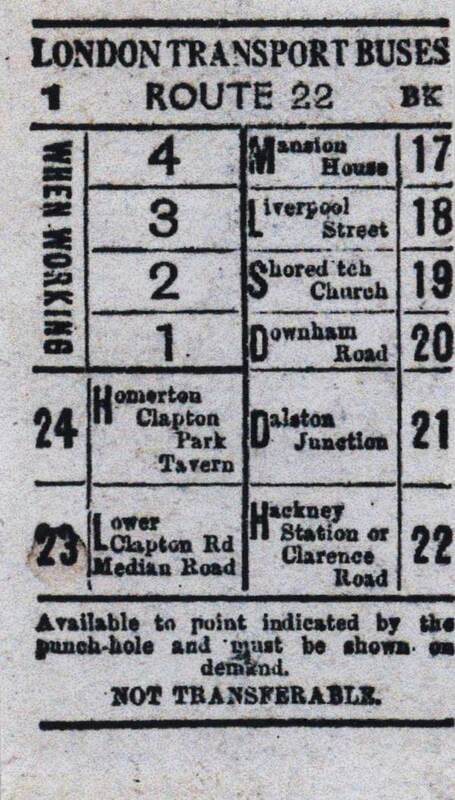 As kids we used to hop over there when the busses came in at night and checked the USED TICKET BOXES in dire search of a rare One Shilling brown used ticket. What a keeper that was when one day, I found one. 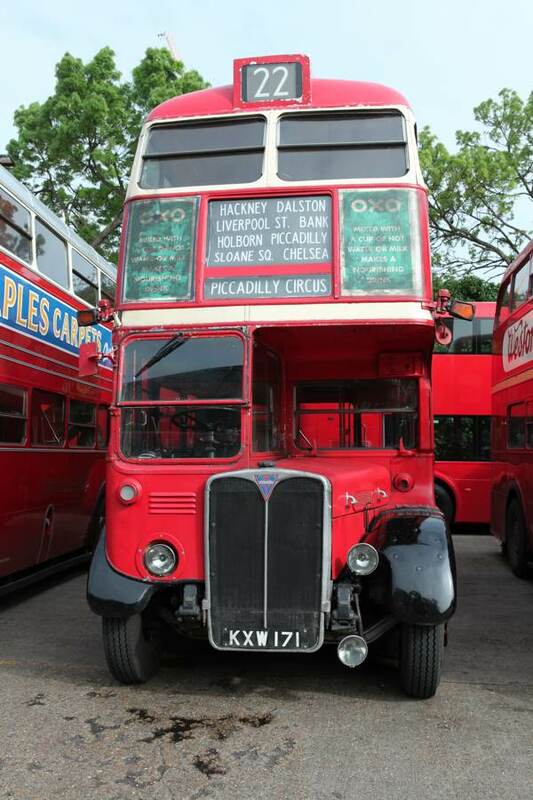 Sailed for Canada in 1946 and have never forgotten the Turnham Green #27 and the #55 to Chiswick Baths and was so intrigued by standing at the head of the aisle on the Lower deck………and watching the driver steering his wooden wheel. No power steering in those days.